Remember those days when any half decent player could walk up to a poker table and pretty much start printing money? Some people had such an easy time winning that thought they were good enough to turn pro! Well, times change, and what might’ve seemed easy as pie poker-wise has gotten a lot harder to accomplish over the years. Here’s a personal story that illustrates just how vivid a vision for poker success might seem, only to have it come crashing down. Indeed, sometimes man plans and the poker gods have a good laugh. The Rio will be bustling with WSOP poker activity once again this summer, but that doesn’t mean it’s the only place to play poker in Las Vegas. 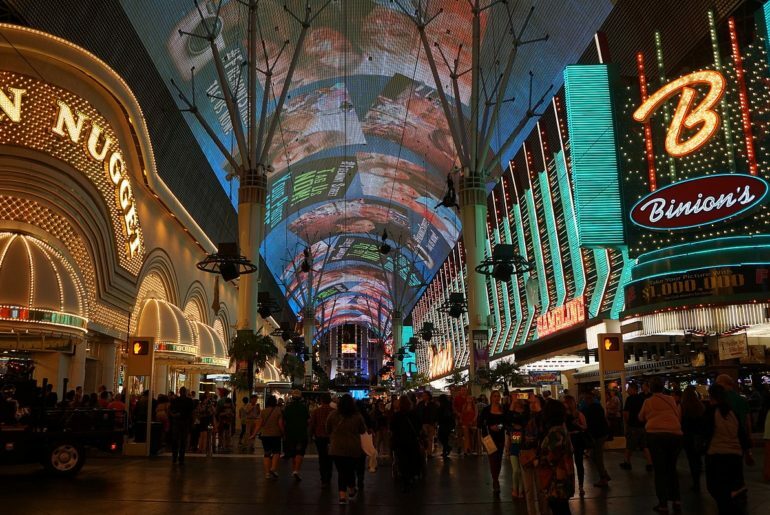 In fact, almost all of the city’s poker rooms are packed to the gills during WSOP time and there are plenty of reasons to step away from the Rio and check them out. While there’s nothing like winning a bracelet, there’s still plenty of poker to enjoy that doesn’t by necessity have to be WSOP-branded. Here, then, are our five top reasons to play non-WSOP poker events around Las Vegas during the summer. Just Hands Poker Podcast co-host Jack Laskey took a road trip across the United States. Along the way, he made it his mission to visit numerous poker rooms. This article is the eighth in a series of 10 articles that compare and contrast how poker is played in land-based rooms in different regions across the country. The eighth stop on the trip was one of poker’s greatest hubs, Las Vegas Nevada. With so many poker rooms in town, rather than focus on one or two in particular, you’ll get a general review of what sort of poker you can expect to find on the Las Vegas Strip. It’s perhaps the dream of each and every poker fan out there to make the trip to Las Vegas and be at the WSOP. It practically behooves everyone working in the poker world to have made the pilgrimage to poker’s Mecca in Las Vegas at least once. That’s not always so easy though, even if you’re a poker writer. 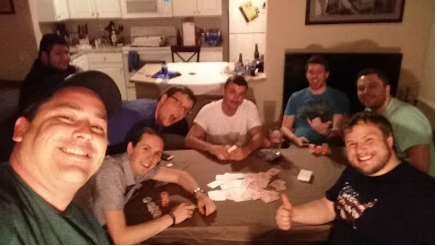 Living half a world away but having poker pumping through your veins can create some serious WSOP FOMO. That’s what Bradley Chalupski writes about in this very personal essay. Think back to the most fun you ever had playing poker. Nice, eh? 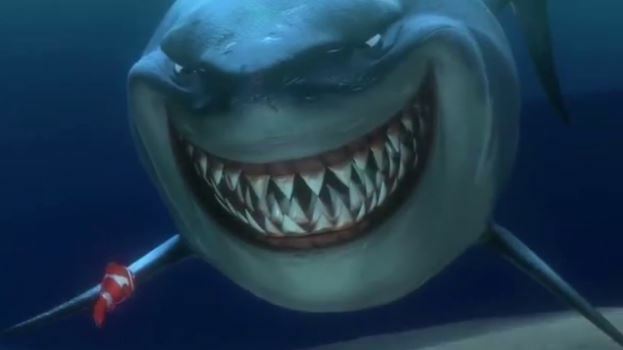 Well, I recently had an experience that fits that description, playing in $4/$8 Dealer’s Choice mixed games with a group of like-minded poker lovers in the heart of Las Vegas. I tried to capture the experience in words (and pictures), but to truly understand the joy we had, you have to experience it yourself firsthand. Hopefully, reading this account will encourage you to do just that. Who Travels to Las Vegas for a Home Poker Game? 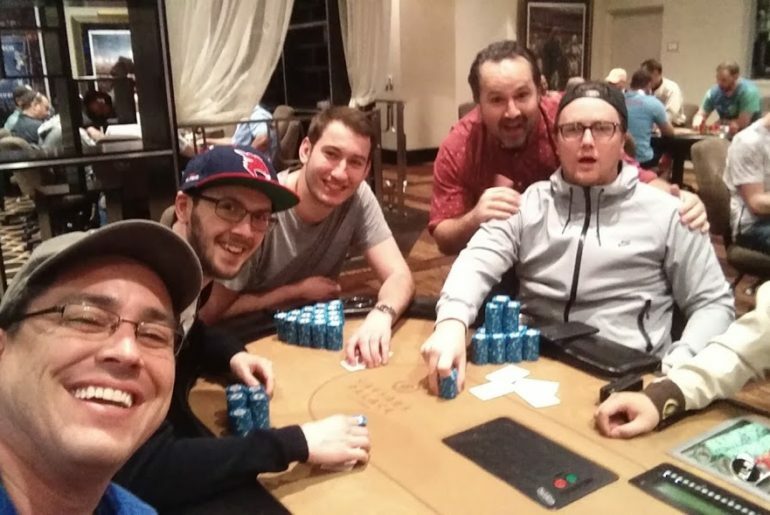 I’ve written a ton about my experiences this past summer at the World Series of Poker, and there’s still so much more to tell you all about. Aside for all the poker I played in casino poker rooms, I also took the time one night to play in a local home game. The experiences were unforgettable and I want to tell you all about them, and why it was worth travelling halfway around the world to play in it. I think a lot of recreational poker players and home game warriors will identify with what I have to say about the experience.